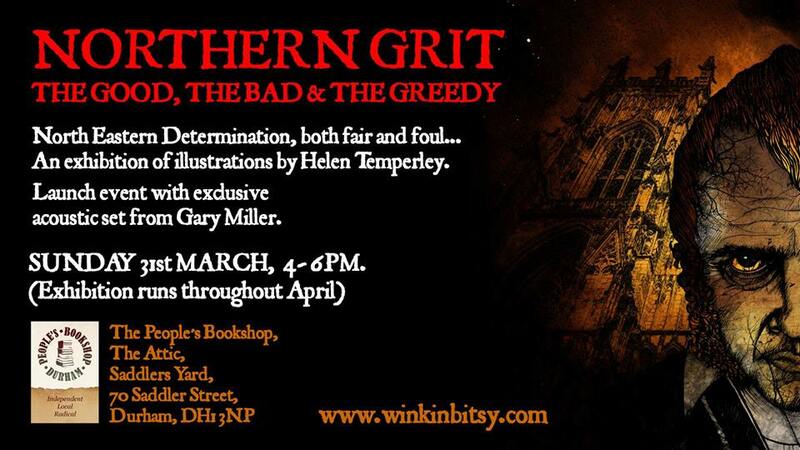 'Northern Grit: The Good, The Bad & The Greedy' is an exhibition of illustrations by Mad Martins illustrator Helen at the People's Bookshop, Durham City, running throughout April 2019. 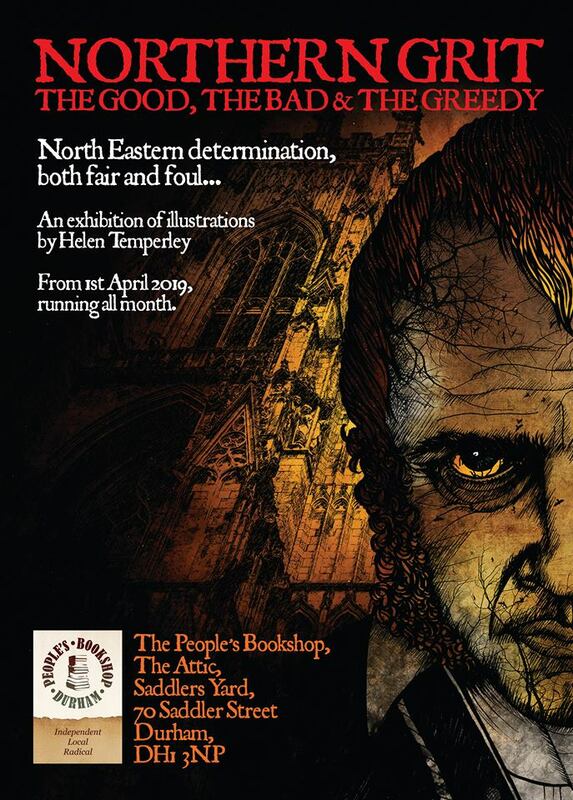 Helen's is the first in a series of exhibitions at the People's Bookshop by local Durham-based artists. 'Northern Grit: The Good, The Bad & The Greedy' showcases a number of characters from North East England, including Jonathan Martin - who also features as the exhibition's 'poster boy'! Furthermore, the exhibition's Launch Event at the People's Bookshop on Sunday 31st March 2019 (4pm-6pm), will include a solo acoustic performance by Gary of songs that directly compliment Helen's illustrations. His set is due to include 3 songs from Mad Martins - one for each of the brothers, William, Jonathan and John. Entry to both the exhibition and the launch event is free and all are welcome. Anyone with an interest in Mad Martins should find something to enjoy.